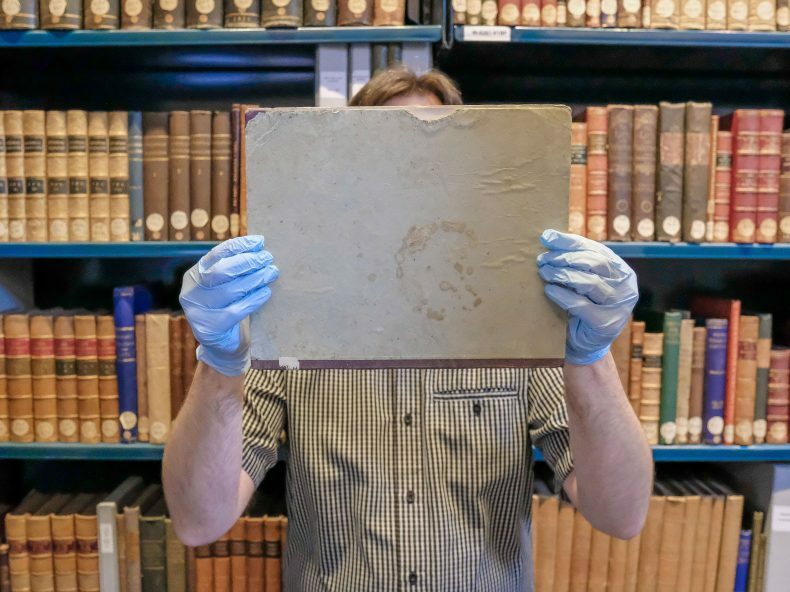 Would you walk into a library with a dirty face? Take a bite out of one of the books? Or LIE to the librarian? Librarian Martin Lewis (@rarebookguy) reveals comical library rules from history and shares his five commandments to ensure happy books and librarians. Libraries have funny rules to an outsider. Historically, some of these rules edge on the weird – especially to modern eyes. For example, this was shared with me (thanks @somnuszzz), and I noted it did the rounds on social media a few times over the years. 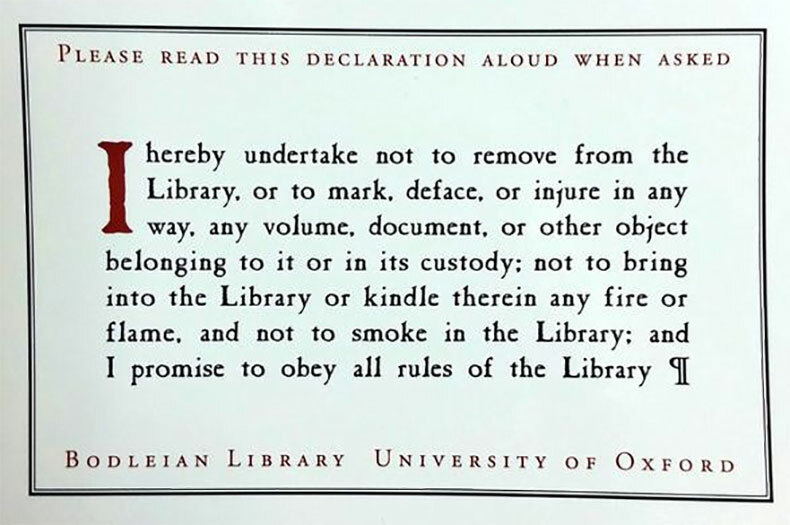 It can get crazier – case in point this oath that all users of the Bodleian library have had to take since 1970. It’s a shorter version of a much longer one put in place in the 19th Century. Don’t think for a second that New Zealand libraries were exempt from interesting regulations. So why do libraries have all these silly rules? Common sense, you say? Well, let me show you some examples of ‘extreme’ use and bizarre best practice for the time in our own library collection. *Please note this is all historic damage, probably 19th–early 20th century – our users today are much better behaved (mostly). Speechless. I mean, really – there is a bite mark in this book. No one knows why or when, but in the last 150 years someone found this item tasty. Right shape for a teapot (we did some experiments); looks like a mixture of heat, damp, and time. No idea why it didn’t turn into a fairy ring of mould and mushrooms. 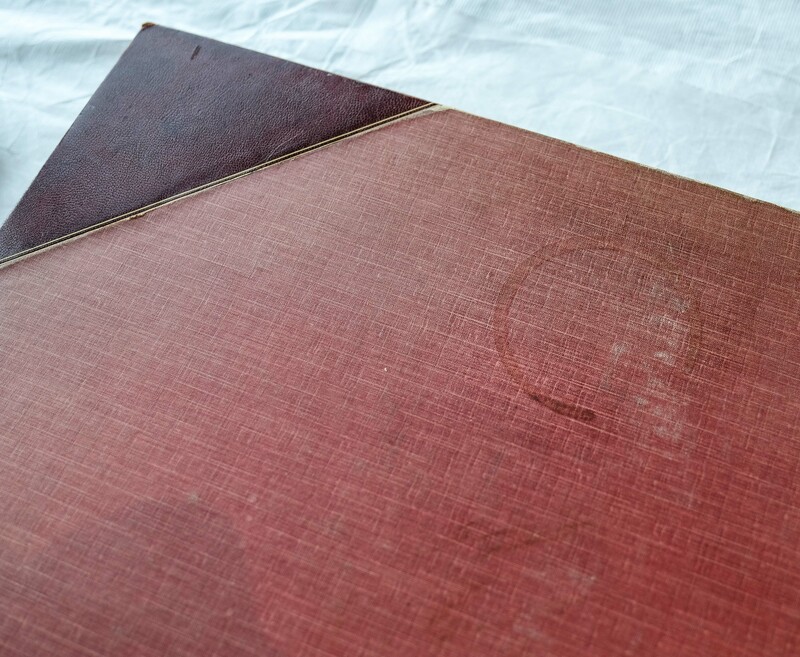 Again, we don’t know how it happened, the same book as the bite mark – tea and cardboard for one? A minor slop, that obviously sat there long enough to dry with the cup sitting on. This book is the size of a coffee table, but that is no excuse! 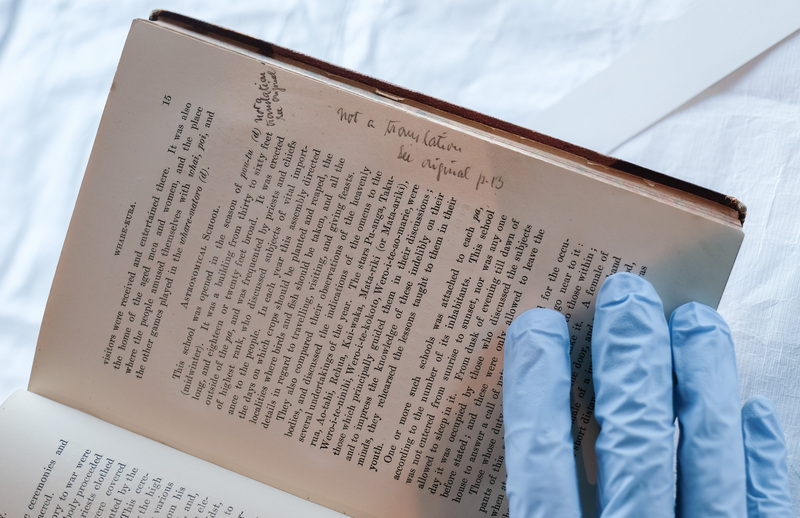 Thanks to Elsdon Best’s distinctive handwriting I can tell you he loved to annotate the text of books in our library. His marginalia (marks made in the margins of a book or other document) deserve a blog of their own… but in brief: he liked to argue and correct the text. Note the word ‘doubtful’ by my thumb. And he didn’t hold back when he disagreed strongly. ‘Doubtful’ is a mild disagreement, where he is stating the image was doubtful – e.g. an inaccurate portrayal of Māori. 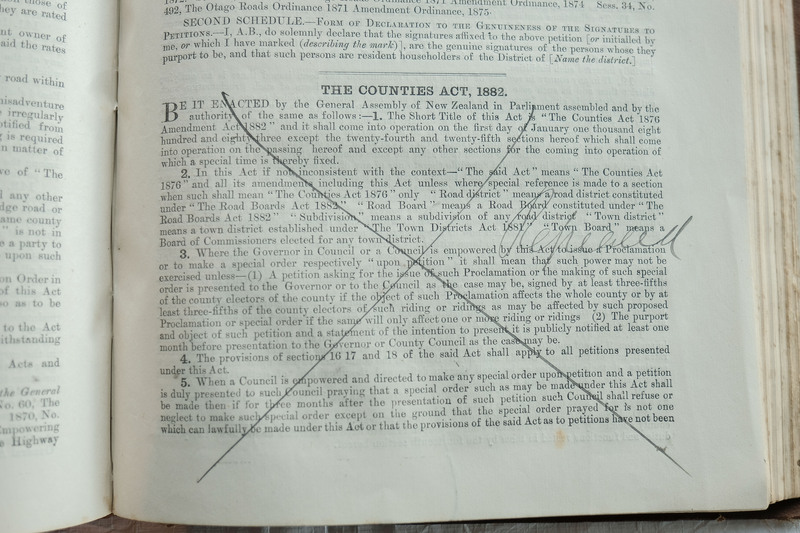 When he was particularly miffed he would strike the text out and in the margin he would write BOSH! Unfortunately, I could not locate one for this blog in time. 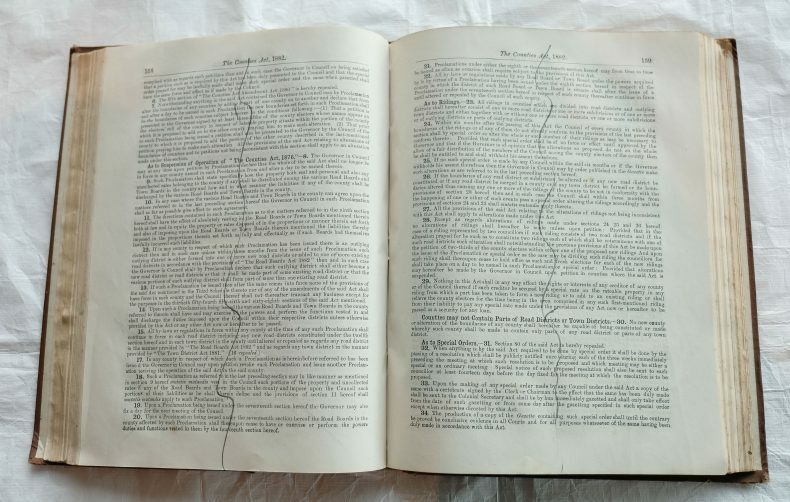 Once the acts in the guide were repealed, a helpful person crossed out the relevant section in the book. 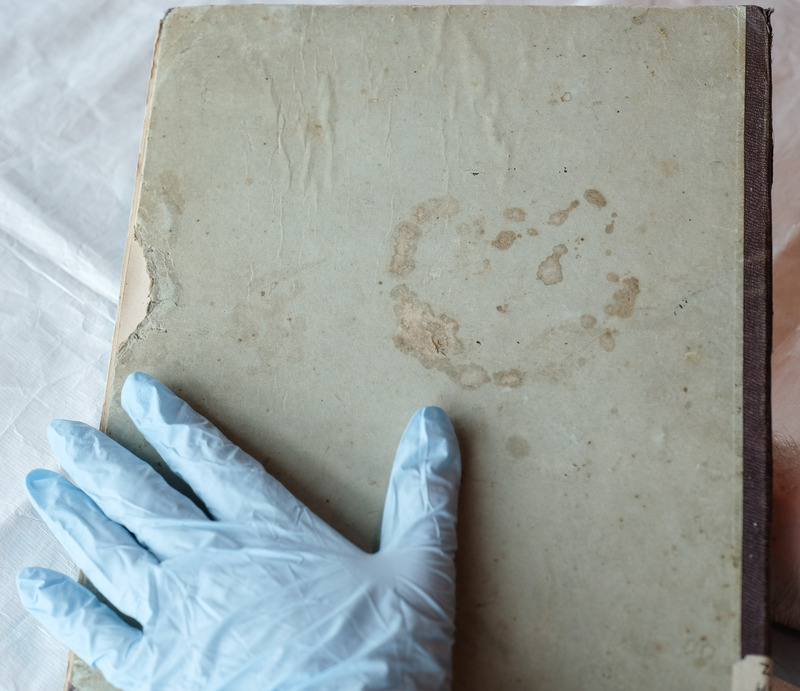 Possibly John A. Whall as his signature in the front of the book is in a similar hand. A colleague said to me that this is still quite common in legal texts. Librarian bane, the evilly convenient sticky note. Obviously, not a modern invention going by the ones in the first seven volumes of this set published 1848–1870. Each ‘tab’ seems to be a heavy card or leather perhaps? Each is individually stuck in with glue and cloth. Very neatly I should add, but very, very permanent. Today’s staff do love their sticky notes still – here is one I spotted on a desk recently. The anonymous staff member enthusiastically shared with me her logic when I asked about it: “Sticky notes are an important part of the research process!” Hmm, perhaps. If you’re interested in hearing more about the horrors of sticky notes and what they do see this interesting article by Kirsten Tyree of the Smithsonian Institution Archive. Unfortunately, no rules or regulations for the use of our museum library seem to exist from the Colonial Museum days (1865) onwards. I found hints in the New Zealand Institute by-laws. 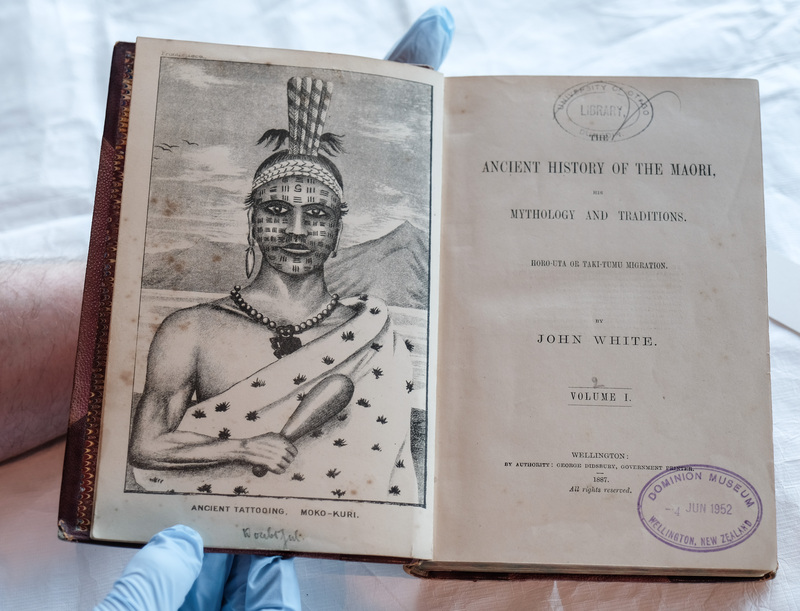 The NZI was formed within, and evolved out of, the Colonial Museum – one of Te Papa’s ancestors, and is now known as the Royal Society of New Zealand. 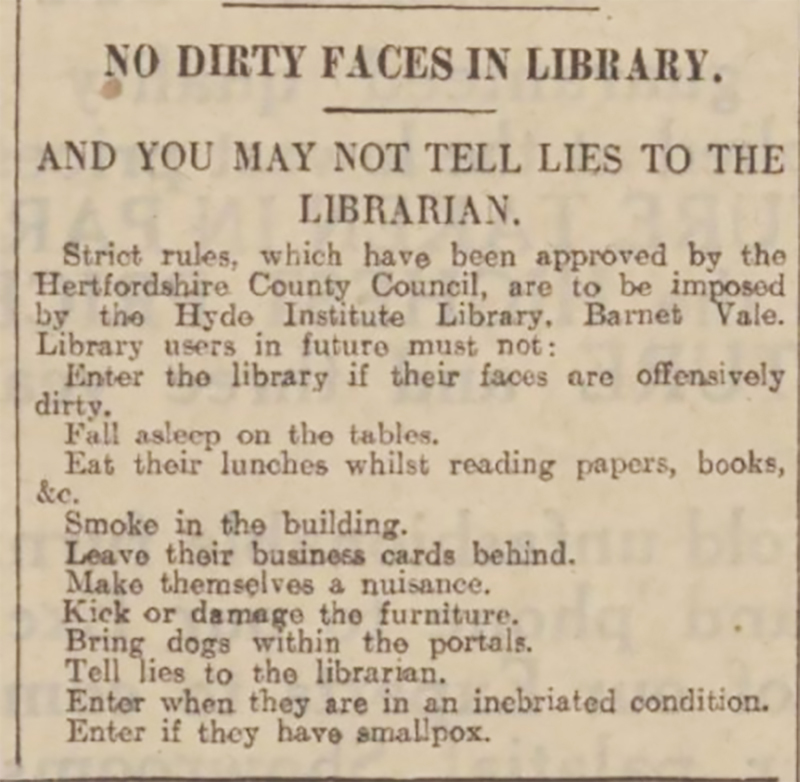 It would have been interesting to see if Sir James Hector, the museum’s founder, had any worries about dirty faces, dogs, or smoking in the library. Our library today is lite on formal rules, too. It’s about creating a safe environment for all, and respecting our books to ensure they last for both our staff and visitors. It’s not easy sometimes. Recently, Masterton Library was in the news due to their ‘no hats’ rule. Have a read of the Wairapa Times-Age article ‘Hat Policy Angers Library User‘ and mull over the right to wear (pink) hats vs the ability of security cameras to view your face properly in case you are up to no good. But most importantly, please don’t bite the books or tell lies to the Librarians – it makes us grumpy. I was once turned away from a local library for entering barefoot. Ironic that the librarian was barefoot too (she walked out from behind the desk to intercept me). The irony wasn’t lost on her when I politely called out her lack of shoes. She let me in. I haven’t seen any rules against nail polish, but sometimes it can leave a smear on library books nowadays. Dogs are allowed in libraries now. There are reading companion dogs, guide dogs and other assistance dogs. I will remember to wash my face and hands before my next visit to the library. I found that blog very amusing reading. Thanks for reading, I’ve not encountered nail polish… That would leave a very long lasting mess for future librarians to puzzle over haha! 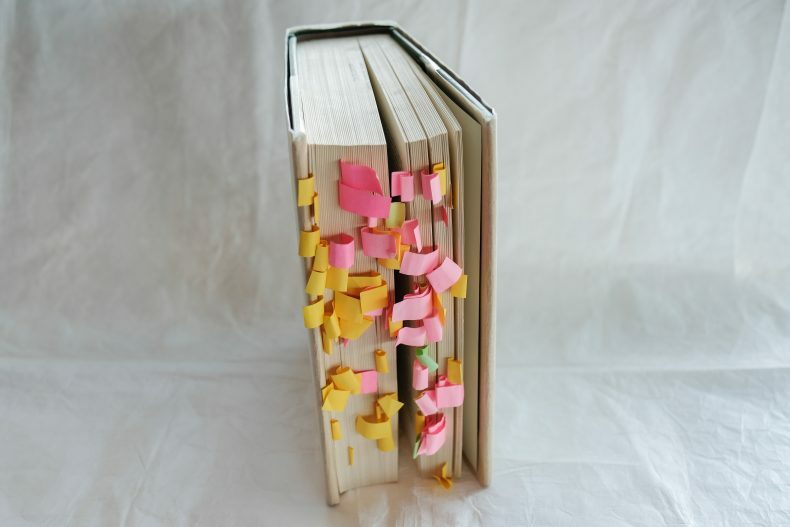 Guilty of reading a book mini post-its in hand! I’ll be keeping an eye on that corner of Te Papa from now on! 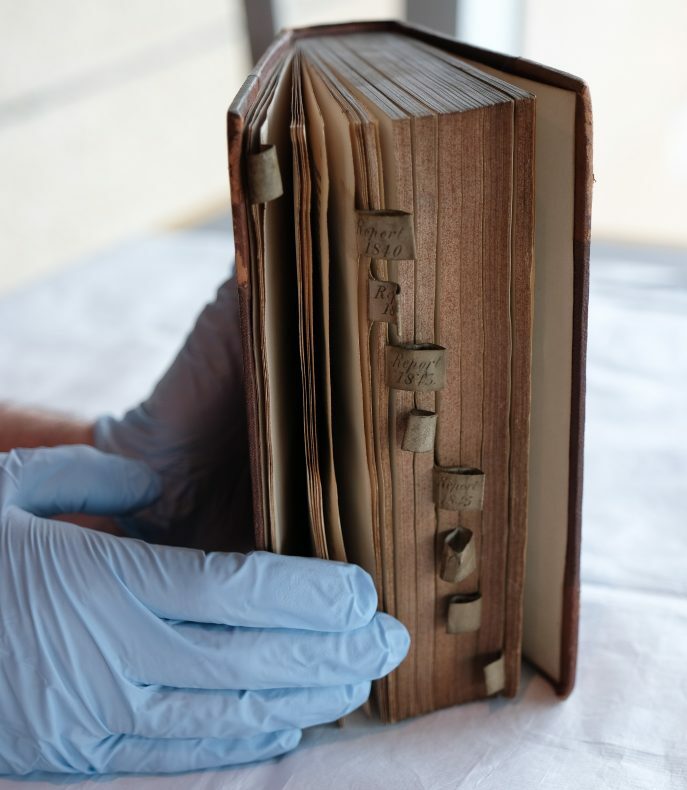 The secret life of books… Very interesting Martin. Fascinating hearing about Elsdon Best’s diversions in the margin. 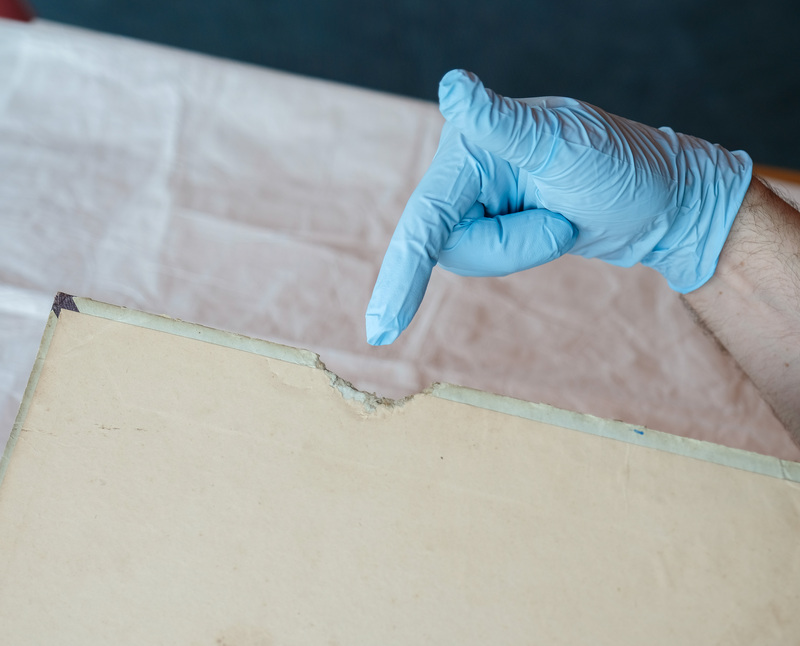 Thank goodness Te Papa has such a great team of librarians to ensure our books are well cared for and used appropriately. Thanks. Nga mihi. Thanks 🙂 I might try and chase up some of his best ones, one day and do a blog on that, he definitely adds flavour to the collection. We enjoyed this and had a good laugh. Thanks. A very interesting blog Mr Lewis – oh dear I am a post-it note fiend! Thanks – hands off those sticky notes!